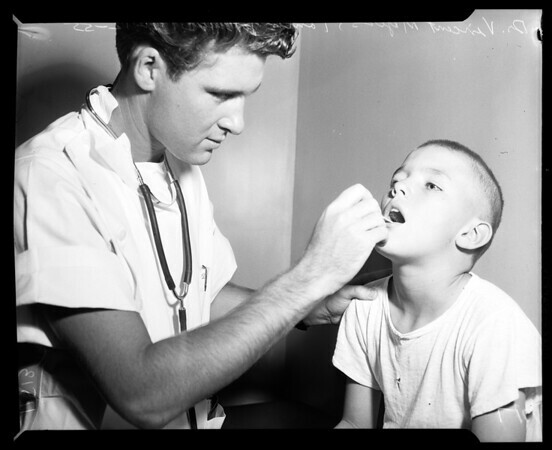 Center Nurse Mary Beazell takes temperature of George Montiel, 11. 13-14: Dr. Vincent Myers inspects throat of Tommy Pruitt, 9. 11-12: Elizabeth Guego, 10, is examined by Dr. Tove Jorgensen and Dr. W.A. Jorgensen, husband and wife team from Denmark. 70-71: Dr. Manuel Chavez and DeNean Griego, 11, take heart readings."